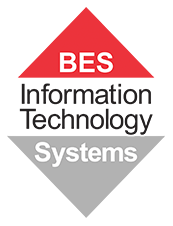 Whitepaper: "The Business Value of Managed Services"
BES offers Network Maintenance Services as part of our Managed Services Solutions. A Managed Services Solution provides continuity of business operations with constant network monitoring, fault detection, active virus prevention, and system administration. Download our whitepaper: "The Business Value of Managed Services" to learn more about how Managed Services work, why companies choose them and what to look for in a Managed Services Provider.